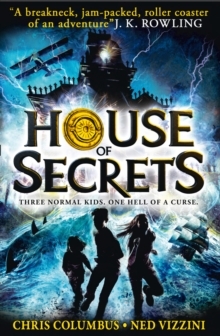 HOUSE OF SECRETS follows three siblings and their family as they are forced to move to a mysterious new house in San Francisco and end up embarking on a journey to retrieve a dark book of untold power. The first story in an epic fantasy adventure trilogy! When Brendan, Cordelia and Nell move to Kristoff House they have no idea that they are about to unleash the dark magic locked within. For the house once belonged to a crazed writer, whose stories have come to life. Literally. Now the Walker kids must battle against deadly pirates, bloodthirsty warriors and a bone-crunching giant. If they fail they will never see their parents again and a power-mad Witch will take over the world. No pressure then . . .